It is true, that here in North Georgia, the pool season is long-lived and well worth the effort. Your pool may only spend a very short time covered up and out of commission, or perhaps you simply neglect your pool on the chilly days, hoping that more warm ones are right around the corner — they always are. 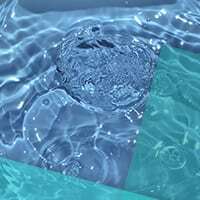 It is important for the health of your pool and those who splash about in it, for it to have a hibernation period and some care is given to it. 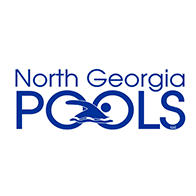 Here at North Georgia Pools, pools are our passion. To help keep yours in Olympic training condition, we have compiled these important cool weather pool care tips to help you make it through to another summer swimming season. As the ambient air temperature falls, the rate of microorganism growth drops proportionately, however it does not stop altogether. Especially in the relatively warmer winters here in Georgia. Since chlorine is not circulating in the water during your pool’s hibernation period, it is important to use a winterizing product to help maintain the proper pH levels and reduce algae growth. A natural property of water is that when it freezes, it expands. If water is in your pool equipment and then freezes, it could cause some potentially costly cracks. Avoid problems and be sure to drain all the water from your filter, pump, heater, and other pool equipment. It is also recommended to drain the pool water four to six inches below the skimmer level to make sure water doesn’t enter it and freeze. While in hibernation mode, all of your pool parts should be removed from the pool and stored elsewhere, such as in a shed or garage. This is prime time to be able to give a thorough clean to the pool parts and perform any maintenance to ensure proper performance. Periodically, be sure to check the pool cover throughout the cold season, never set it and forget it. In the event of a warmer Fall and Winter, leaves could fall much later in the season, causing a huge weight to collect on your pool cover. This can cause the cover to break or slip loose, which would allow unwanted dirt and debris to enter your pool. When the cover is resting on the water, it can also serve as a place for mold and algae to grow. Simply hose or leaf blow the cover clean as needed. If Georgia is blessed with more snow this season, use a roof rake to remove snow from your pool cover. If you use a mesh style cover, monitor winter rainfall to ensure the water levels aren’t rising and the chemicals aren’t being diluted. If your area does experience a lot of rain, watch water levels and drain several inches as needed. You don’t have to wait until it is warm enough to use your pool to open it for the warm season. When temperatures are consistently above freezing overnight, you can open your pool and begin prepping for Spring (stay tuned for our tips in our next article!). Biofilm, fungi, and algae grow quicker in warmer water, so be sure to treat the water before it is prime swimming time. If you need help maintaining your pool this winter, call us at North Georgia Pools and let us handle all your residential and commercial pool needs! 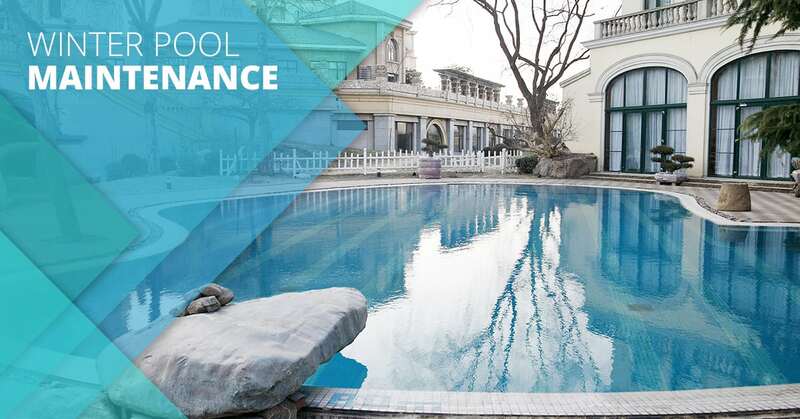 We can close your pool, perform any maintenance, and open it when the weather warms up!